Sweet Hollywood present our Pure Prestige five tier Luxury wedding cake that features beautiful silver brooches along with hand made sugar bows, sash, royal swags and quilted design featuring bling detailing. Luxury wedding cakes in London have never looked so good and all detailing like all Sweet Hollywood Wedding Cakes can be customised to your theme of colour scheme. 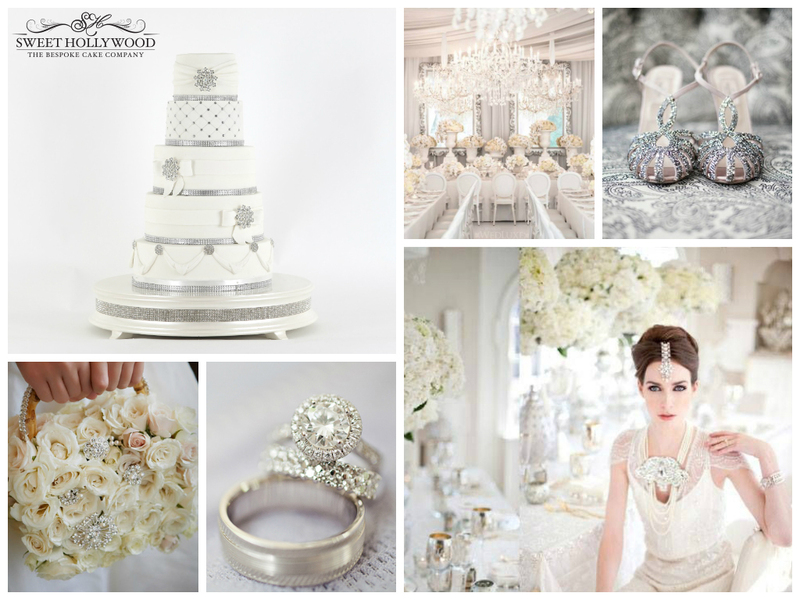 Sweet Hollywood specialise in bespoke wedding cakes in London and surrounding counties and have created this beautiful white and silver mood board to give you some inspiration.